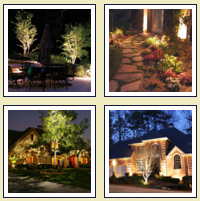 About Us @ Baseline Landscapes LLC. We take pride in who we hire and the training and conduct of our people. This has produced a company that gets the job done right and on time. When you call Baseline Landscapes to do your landscaping, you get more than just a finished job. You also get a reliable, environmentally-friendly company that takes pride in designing and producing eco-conscience results. Contact Baseline Landscapes today and rely on our professionals to build and care for your property’s landscape. Rick Hodges is the founder and owner of Baseline Landscapes, LLC. Baseline Landscapes is Licensed, Bonded and Insured through LCB. Baseline Landscapes was one of the first ECO BIZ certified companies in area, and is a certified member of the ICIP and PLANET associations. If you are interested in a rain garden, naturescape, ECO roof, rain harvesting system, or any one of many other, different kinds of landscaping projects to enhance the value of your home or office, we, the friendly and knowledgeable staff at Baseline Landscapes can help you!